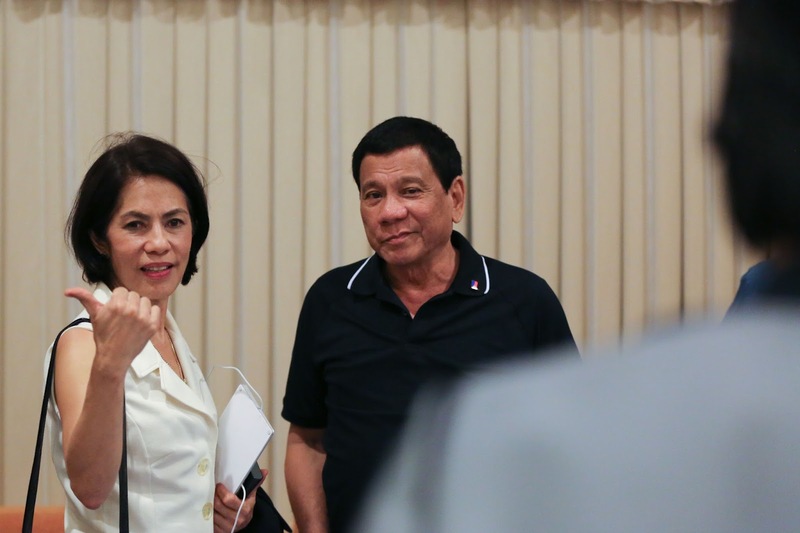 MANILA, April 27 -- Environment and Natural Resources Secretary Gina Lopez decided to ban open-pit mining in the country, noting this mineral extraction method poses long-term environmental, health, financial and economic problems for the country. "We're banning open pit mining," she announced Thursday during a forum in Metro Manila, noting Department of Environment and Natural Resources (DENR) will no longer accommodate proposals for this activity. Such mining is environmentally destructive since this requires excavating the ground and leaving the dug-out area open so ore there can be exposed and mined, she warned. She noted excavation requires removing the area's vegetation - which is essential in hosting biodiversity and sustaining ecosystems services - and relocating materials dug out there. Open pit mining is a public health threat as traces of minerals and chemicals from this activity contaminate surroundings of communities nearby, she said. "Once operations there cease, the open pit mine will be a perpetual financial liability for government," she also said. She further said environmental destruction from open pit mining doomed an area's potential to be economically productive, jeopardizing the future of people there, while miners concerned left with their mineral haul and multi-billion peso earnings. "Greed and selfishness kills everything - it's wrong," she said. A video presented during the forum showed there are 14 open-pit mines in the Philippines. Ten of those mines are either abandoned or suspended, the video said. The other open-pit mines are filled with acid water and heavy metals, the video also warned. Environment undersecretary Art Valdez said open-pit mining activities already existing in the country must fully comply with relevant regulations. Among such regulations is RA 9275 (Philippine Clean Water Act of 2004). "We need clean water," he said at the forum's side. Lopez said DENR would impose water quality standards in the country's existing open-pit mine sites. "We won't allow acidic water," she said at the forum. She ordered companies undertaking open-pit mining to detoxify water in respective operations. Such detoxification was a precaution against discharge of toxic water into the environment, she noted.